This week for Anime Sunday I’m back with another new Fall 2016 series! It’s my Occultic;Nine Episode 01 Impressions! Plot Synopsis: The story follows nine idiosyncratic individuals, linked by the “Choujou Kagaku Kirikiri Basara” occult summary blog run by 17-year-old second-year high school student Gamon Yuuta. Plot: The plot is pretty nonsensical, but I have high hopes for the series as this seems to be just the beginning of what could be very amazing. I haven’t read the original Light Novels, so I’m going into this blind. Either way I’ve got high hopes since this was written by the creator of Steins;Gate. Characters: Gamon Yuuta seems to be a pretty decent male lead, although his antics are annoying at times. Hopefully he gets over them in future episodes because his and Ryoko’s antics are annoying at the best of times. The rest of the cast we get to meet is also interesting, frankly I’m interested in seeing how this goes. Art: The art is pretty good, not super amazing like anything from ufotable, but it’s A-1 Pictures who is animating this series so it should keep the quality as it goes along. Music: The musical score for this series is also awesome, I really enjoy the opening theme as well since it’s sung by Kanako Ito, one of my favorite musicians. Overall: This looks to be a good series, so I’m going to give the tentative go ahead thus far. For those who like: Mystery, Paranormal, Supernatural?, Drama, Slice of Life, Intersting Cast of Characters, Excellent Artwork, Great Plot, Awesome Music. This week for Anime Sunday I’m looking ahead at the upcoming season of Anime! It’s my Most Anticipated Fall 2016 Anime! 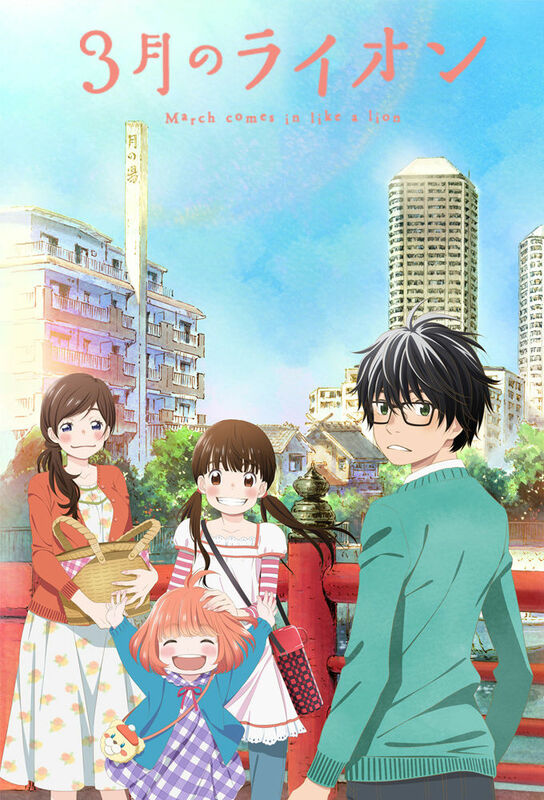 3-gatsu no Lion: I love reading the Manga for this series and I’m really looking forward to watching the Anime, plus Bump of Chicken is going to do one of the theme songs, which should be awesome. The story follows a boy who is a professional Shogi player who has trouble interacting with people, except for a family of three sisters who take him into their home and lives one day. Drifters: I’ve never read the Manga that this Anime is an adaptation of, but I have read the author’s Hellsing series. If Hellsing is anything to go by, this should be a really awesome Anime. I have no clue about the plot, but that’s intentional as I really want to watch it without reading about it before hand. Luger Code 1951: Another adaptation of a Manga series I’ve never read, I read the Fantasy genre tag online and was curious as it seems to be about Cryptanalysis or code breaking. So I’m curious to see what this is all about. My only concern is that it’s being animated by Studio Deen, the worst Anime studio ever. 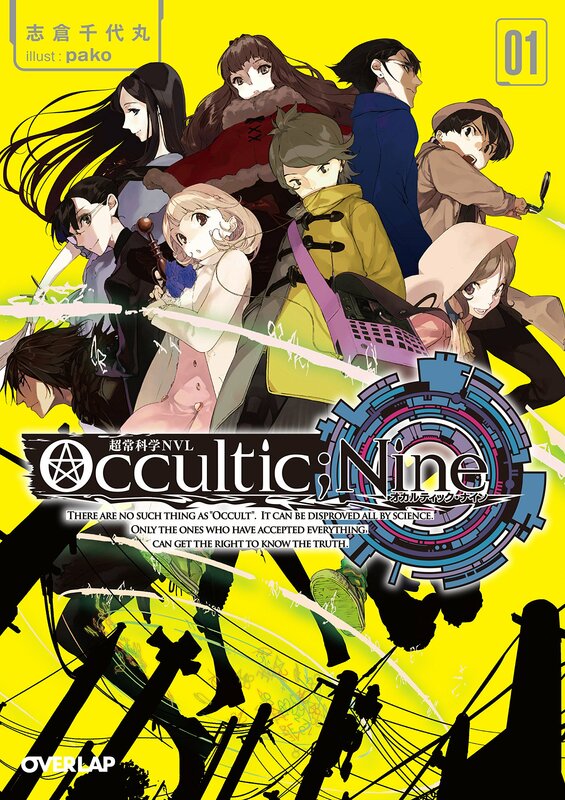 Occultic;Nine: This seems to be adapted from a Light Novel series, so I’m curious as to what this is all about. Maybe it’ll be really awesome, but like the rest of the series I’ve already mentioned except 3-gatsu I have no clue what this series is all about. Gundam Iron-Blooded Orphans 2: The second season of Mobile Suit Gundam: Iron-Blooded Orphans, I stopped watching after the first cour of the first season. I heard that the series would be getting a second season and I wanted to save something to watch for when I go house sit for my folks during the College Football Season. This should prove to be an awesome second season to what I think is the best Gundam series since Zeta, sorry Wing fans. That’s it for this week’s Anime Sunday! Next week I’ll be covering the winners of the Summer season!